Stylish and weather resistant, this curved corner chair can serve as a standalone furnishing, or as a component for an outdoor sectional. 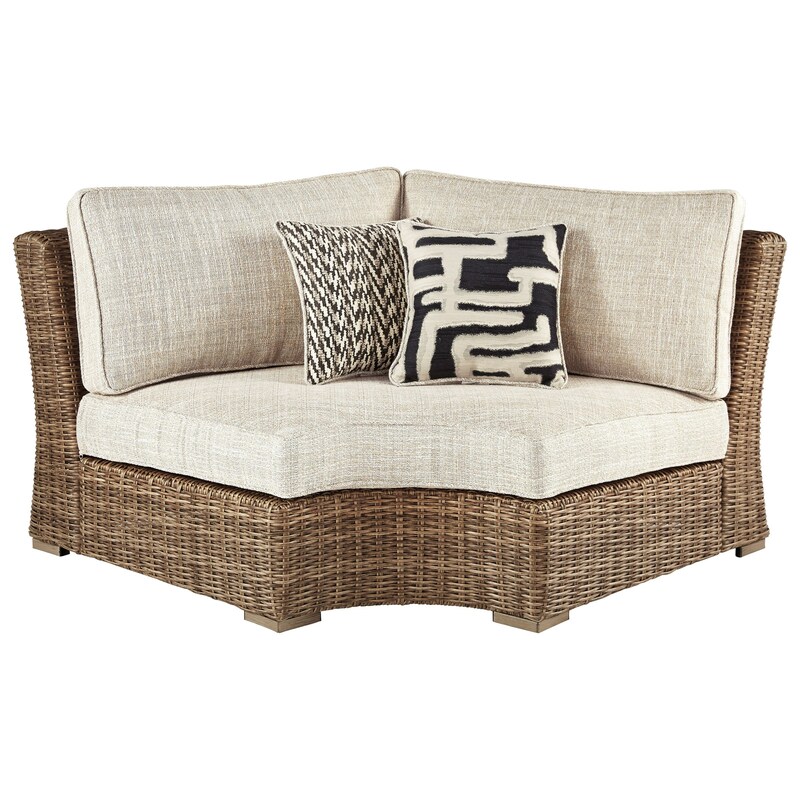 No matter its use, the cushioned resin wicker design will look great in your outdoor space, and the high performance Nuvella™ fabric is a breeze to keep clean. The Beachcroft Curved Corner Chair with Cushion by Signature Design by Ashley at HomeWorld Furniture in the Hawaii, Oahu, Hilo, Kona, Maui area. Product availability may vary. Contact us for the most current availability on this product. The Beachcroft collection is a great option if you are looking for Casual Outdoor Furniture in the Hawaii, Oahu, Hilo, Kona, Maui area. Browse other items in the Beachcroft collection from HomeWorld Furniture in the Hawaii, Oahu, Hilo, Kona, Maui area.